The East End of London, in Jacob and Elizabeth's day, was an area of small, closely-packed overcrowded houses tenanted by large working-class families, who would have usually have been crammed into two rooms. 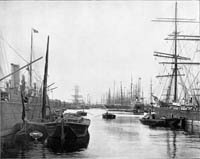 Many of these families were immigrants from war-torn Europe: many of them had arrived via the docks and stayed in the area, like the Chinese immigrant community in Limehouse and the enormous number of refugees from the Irish potato famine. Wages were low and living conditions were appalling for a lot of people. Disease was common, with everyone living so close together and not getting enough to eat. Children were lucky to survive their first birthday; men had a very low life expectancy because working conditions were terrible; death during childbirth was very common. Having said all this, Elizabeth managed to spend her whole life in the East End and raise nine out of twelve children to adulthood, survive the deaths of two husbands, and live to see her eightieth birthday. So, we come from pretty tough stock. 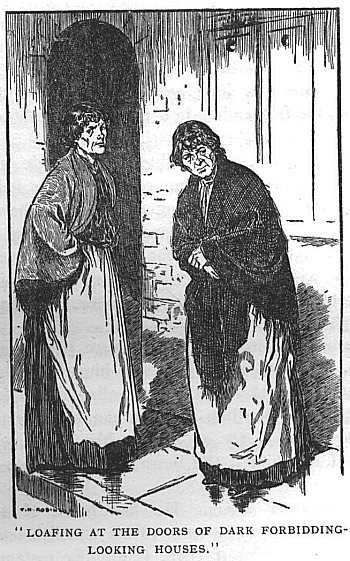 Hunger in the East End - an interesting Victorian account of how poor people lived. St George's in the East - two articles about Germans in St George-in-the-East, including stuff on sugar bakers - mentions German musicians. The East End was very heavily bombed during the Second World War, and many of its residents lost their homes. Most of the old East End communities were destroyed during the 1950s, when the area was redeveloped and families rehoused, many of them in Essex. 'Slum clearances', and the subsequent regeneration of the Docklands area have completely changed the East End, and many of the streets our ancestors lived on no longer exist.